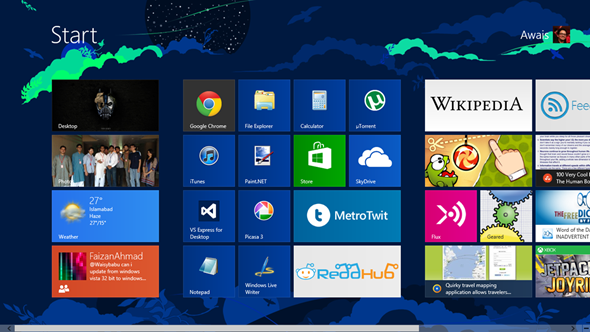 After the success of Windows 8 operating system, now Microsoft has come-up with its new ideas, features and much more improvements with Windows 8.1 (Blue) operating system update for Windows 8 itself. Microsoft has finalized Windows Blue codenamed as Windows 8.1 officially and soon it will be available for general users worldwide at Free of Cost. Those Microsoft Windows users who have already purchased Windows 8 and using license based Windows 8 will get Free Update of Windows 8.1 (Blue) via Windows Store and this update will be huge. According to Microsoft official sources; Windows 8.1 (Blue) will not be a Service Pack but it will be available as a Windows 8.1 (Blue) Update for Windows 8 for Free and also it will be free update for Windows 8 consumers and users. According to some rumors and official rumors; The Official Release Date of Microsoft Windows 8.1 (Blue) Public Preview Build Update is June 26th, 2013 and it will be officially announced and available at BUILD 2013 Conference in San Francisco, USA. So Windows 8 OS user has to wait just over five weeks from now on. According to Reller; Microsoft Windows 8.1 (Blue) will also follows the same schedule as Windows 8 like first released of Windows 8.1 (Blue) RTM in the month of August, 2013 and then it will be released to the general public around late October, 2013 and then Final Build of Microsoft Windows 8.1 (Blue) Update will be officially available by the end of the 2013 calendar year (Expected) at Free of Cost. We can also expect more updates from Microsoft like Windows 8.1 (Blue), in future we can also get Windows 8.2, Windows 8.3 or Windows 8.4 Updates for Windows 8 from Microsoft as its not confirmed yet if Windows 9 operating system is under production or going to be released in future after Windows 8. Just wait and watch!